We’ve sat where you sit. Managing Partner, senior Partner, divisional head…or aspiring to get there. Find the keys to being successful. CEO leading complex organisations – we’ve been there. Trusted partner in times of change. Helping you know where to focus to succeed. If you are a senior Executive in government, professional services or a large, complex business, we can help guide you to success, while keeping you safe and sane in the process. Norton Crumlin & Associates is famous for working effectively across sectors and borders. We are known for our comprehensive networks and our ability to bring the appropriate skills to the table for our clients. And we strive to be easy to do business with in every interaction. Read more about our commitment to our clients. Is Norton Crumlin & Associates right for you? Do you have responsibility for a complex organisation, perhaps one that is currently in transition? How well do your staff understand your vision and values? How well is the organisation aligned in terms of shared goals and objectives? How confident are you that your organisation will thrive through the change it is currently facing? How aligned is your organisation to the needs of its customers? Are you part of a senior team which is currently facing challenges or seeking to take its performance to the next level? How well do you understand the problems which your team needs to solve? What are the skills and the mix your team needs in order to succeed? And what are the gaps? Are you a senior Executive, an individual with a desire to continually improve, learn and have a spectacular career? Are you ready to be challenged to consider the short term and the long term at the same time? Are you prepared for us to ask some difficult questions, the types of questions that will help you progress in your career, in a way that ensures you remain safe and sane? Join over 1000 Executives discussing current topics on our exclusive, global LinkedIn network! Follow us on LinkedIn to recieve our updates! Join our Business network and follow us on Twitter to share and receive ideas and issues facing Executives and senior managers in the workplace. Belbin. A way of measuring your preferred behaviour when working within a team. 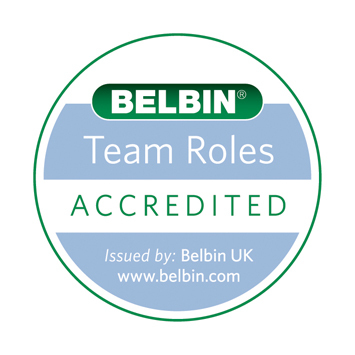 For more information on the Belbin Team Roles, please click here.